Impact Technology provides used copier remarketing services for international, national and regional leasing companies. 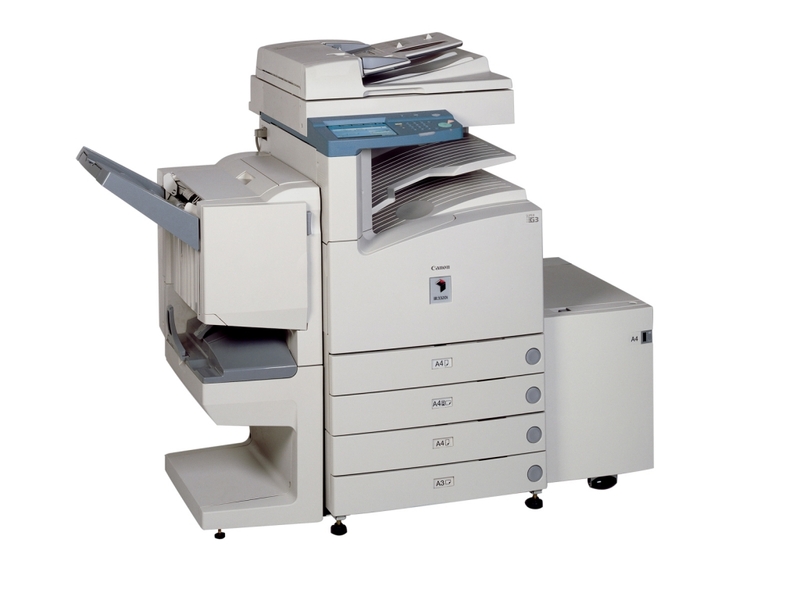 Our areas of expertise include all major brands of used copiers and wide format copy machines. We pride ourselves on being the #1 copier remarketer in the world by consistently providing only the highest levels of ROI to our leasing partners. We value our relationships with all of our leasing partners and strive to continuously serve as the best in the business. Our priority as a successful copier remarketer is to provide 90 day turns (or less) on copiers, with a focus on maximizing ROI. Over the past decade over 90% of our used copiers were sold within 90 days. Our professional sales staff markets our used copier portfolio throughout our national copier dealer network. For international sales, we export copiers across 5 different continents. Most copy machines are sold the minute they hit our docks. Built in 2006, our beautiful 85,000 sq. ft. corporate location can comfortably house over 6,000 copiers. Designed specifically for used copier remarketing, our warehouse offers secure, clean, climate controlled storage for delicate electro-magnetic equipment. Our copier inventory is electronically stored and sold using bar code systems. This efficient process allows us to conduct thorough equipment audits and is the reason why our leasing partners rate Impact Technology at the top of the industry as a copier remarketer. When you work with Impact Technology you can expect accurate and timely audits. Used copiers are audited within 48 hours upon arrival at our docks by our certified copier technicians who verify and test over 20 different areas of the copier including, but not limited to: model, serial number, meter, print controller, network card, scanning device, fax card, etc. Every accessory is fully tested for operation and then documented with detailed notes. All operational and cosmetic issues are reported on our audits, and these reports are electronically transmitted on a daily basis. We can also tailor the auditing or reporting process to meet your specific requirements. Part of our copier remarketing services includes providing cost-effective copier repossession services nationwide. Our goal is to get your used copier returned to our location quickly and safely. Impact Transportations’ fleet of trucks and our highly trained drivers are able to handle almost any situation, including lift gate and stair climber services. All equipment is carefully blanket wrapped and strapped to insure damage-free shipment. All copier repossessions are fully insured by Impact Technology Inc.
Our Green Initiative focuses on selecting the best way to re-purpose used copiers, computers, printers and related equipment. We provide off-lease pickups & wholesale deliveries. Impact Transportations’ fleet of trucks has the largest regular route in the midwest with on-going destinations to 20 states. Our freight rates are extremely competitive and in many cases are substantially lower than other carriers. As a world-class copier remarketer, the logistic services offered by Impact Technology can also increase your ROI on off-lease and repossession copiers. Ask us about our profit-sharing programs or what we call non-equipment revenue. In many cases we can return up to 30% more per copier because of the NER we share with our leasing partners. Our U. S. Department of Defense approved data security process costs as low as $100 per copier (reduced fees for larger volumes) and is also HIPPA compliant. Once the data is destroyed, we will send you a data destruction log for your records. You can sell copiers to us with confidence and at the same time get cash back while knowing we recycled 100% of this resource! Impact Technology provides national copier remarketing services in world-class fashion. 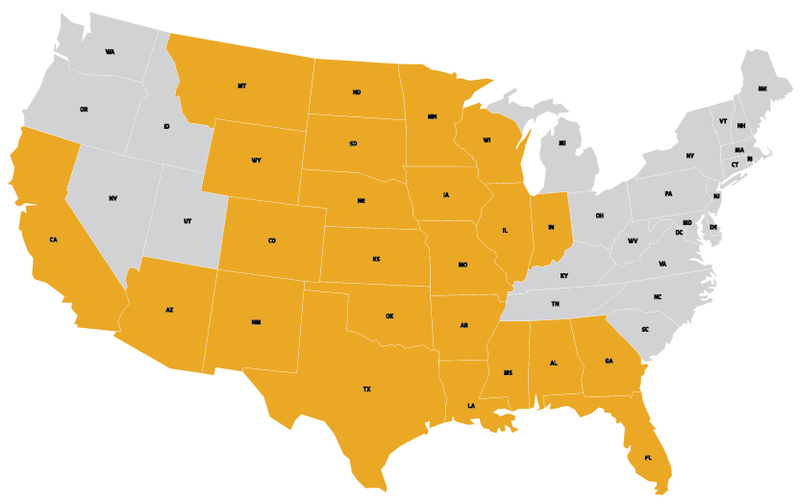 Our core logistics area includes the following 20 states: AZ, AR, CO, IL, KS, IA, IN, LA, MN, MS, MO, MT, NE, NM, OK, SD, TX, WS, WY. We provide logistic services nationwide and we will consider opening future locations as needed by our leasing partners. Our leasing partners know they can count on increased ROI with our used copier remarketing services and our competitive logistics rates, and it is our goal to eventually expand our locations to offer even more on-going logistics services to other states. Since 2002 Impact Technology Inc. has been remarketing off-lease copiers world-wide for many of the largest leasing companies in the world. We strive to meet the ever-changing demands throughout the used copier remarketing industry by offering dynamic programs such as logistics, guaranteed turns, locked in residuals, repossession services and, of course, buyouts. Our complete and accurate audits are the best in the world – Guaranteed!